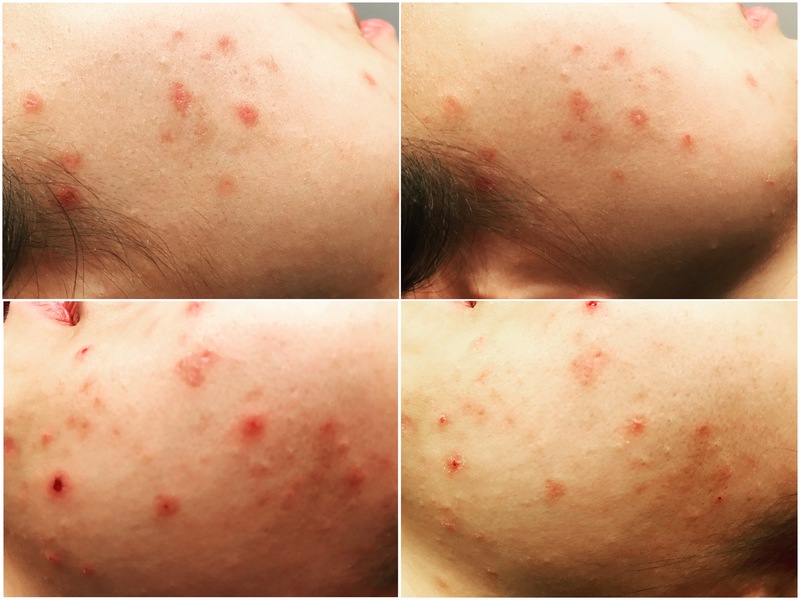 The Role of Inflammation in Acne, in all stages of acne formation, well worth a read for anyone battling acne, esp with excessive inflamed skin. Published in 2013 the Journal of Clinical Arsthetic Dermatology. This sheds light on why the Dr Vodder Manual Lymphatic Drainage helps reduce acne and clears skin so well, by focusing on reducing inflammation in the vessels and nodes. People with aggressive acne should always consult a dermatologist to assess if your condition is related to skin, bacterial or organ problems. Once you have a diagnosis you can then combine your medical assessment with manual lymphatic drainage facial or body treatment natural therapy, for the best results. Before and After, Manual Lymphatic Drainage Facial. Four day’s inbetween treatment sessions.